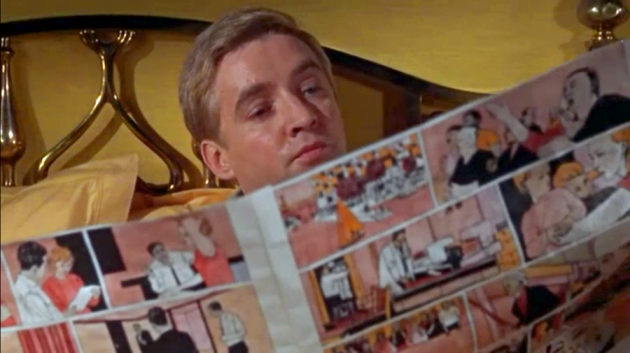 Montag (Oskar Werner) 'reads' his illustrated newspaper in bed. The scene is from François Truffaut's classic film treatment of Ray Bradbury's 1953 novel about a dystopian world where written books have been outlawed. 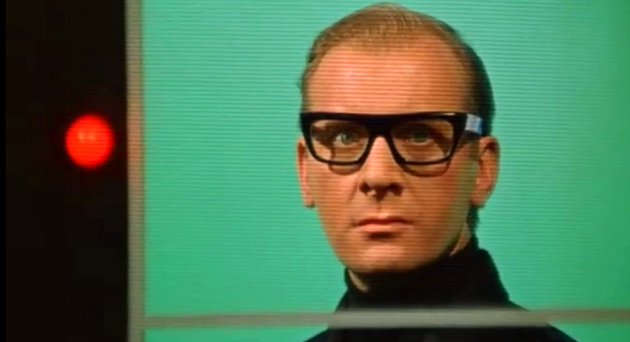 "When the 'Family' (the television with its 'cousin' announcers and actors) presents an interactive play in which Linda believes she has a role, an actor (Donald Pickering) wearing glasses with thick, black rectangular frames, turns to the camera as it zooms in on him and says, 'What do you think, Linda?'" Whalen, Tom. 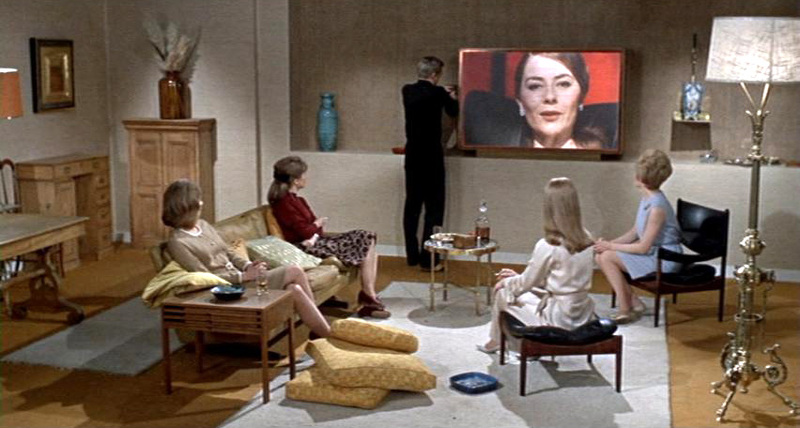 "The Consequences of Passivity: Re–evaluating Truffaut's Fahrenheit 451," in Literature–Film Quarterly, Vol. 35, No. 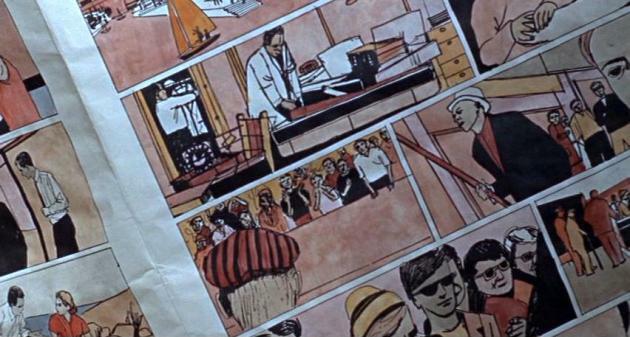 3, July, 2007, pp. 181(10).